World famous for its turquoise lake, the Victoria Glacier, soaring mountain backdrop and palatial hotel, Lake Louise is a Canadian Rockies icon that simply has to be seen to be believed. with an intense turquoise shade, and while in spring the lake is still ice-covered, it's equally picturesque. The lake usually begins to freeze again in November and is then covered in deep snow, creating a magical wonderland. In fact the Lake Louise area is a world class ski resort and has one of the most scenic outdoor skating rinks. 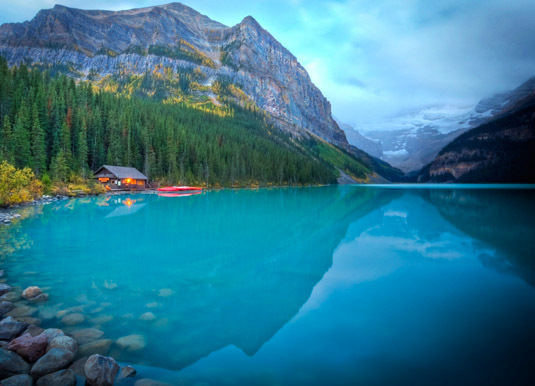 The vibrant emerald green waters and surrounding rugged peaks are three miles from the hamlet of Lake Louise. Smaller and quieter than Banff, it's an ideal base to fully immerse yourself in nature and outdoor adventuring. 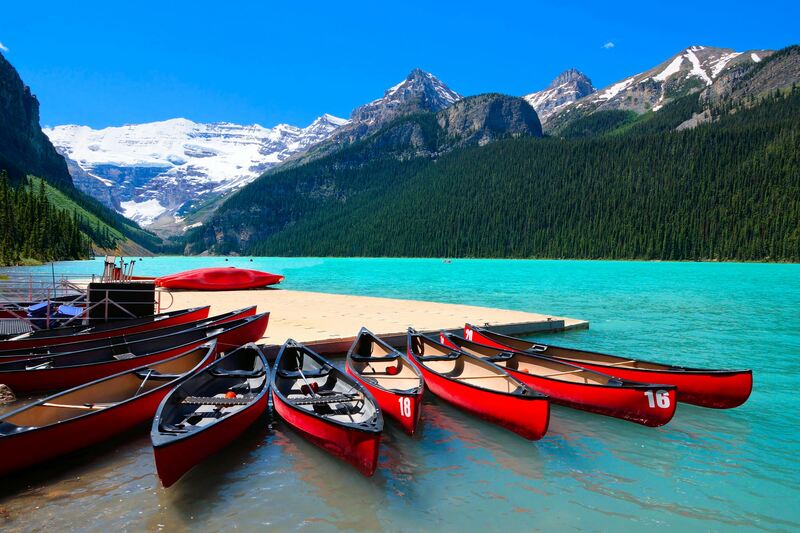 A must do is to hire a canoe from the Lake Louise boathouse and paddle across the lake towards the Victoria Glacier. A hiking and sightseeing paradise, Lake Louise is the perfect place for an uplifting summer adventure. There are walks that allow for casual strolls and trails that have little elevation gain but still allow you to take in the scenery. For a bird's eye view of the Lake Louise area climb aboard the Lake Louise Gondola which crawls up the side of Whitehorn Mountain to a dizzying viewpoint above the valley floor. South of Lake Louise is Moraine Lake where the scenery is equally as staggering with vivid turquoise waters that change in intensity through the summer as the glaciers melt and a backdrop of soaring mountains, waterfalls and rock piles. 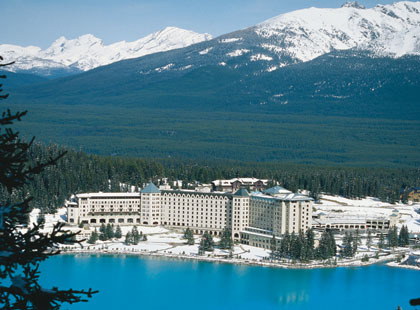 Call and speak to one of our travel experts who have experienced Lake Louise personally.